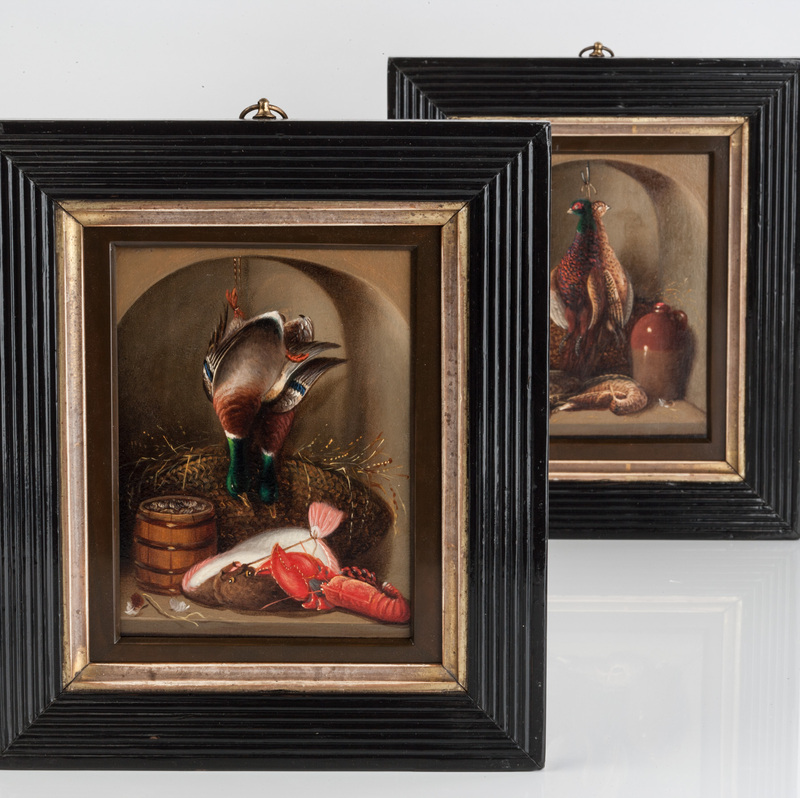 A pair of larder scenes painted in oil on wooden panels and attributed to Benjamin Blake, English circa 1800. Within period (re) ebonized reeded frames. Originally from Wiltshire, Blake (fl1790-1830) worked for most of his life in London, producing small, gem-like larder and game scenes. 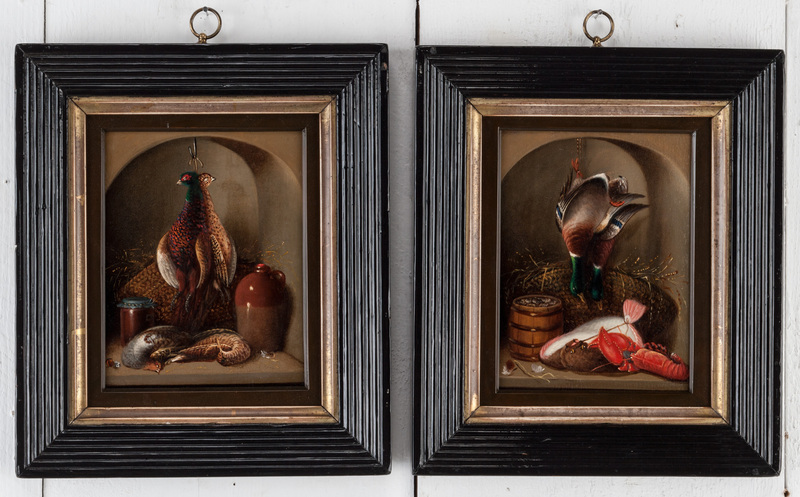 This pair are typical of Blake’s work which owes much to seventeenth-century Dutch prototypes. It is interesting to learn that Blake was sometimes employed by dealers to copy old Dutch pictures, some of which were not sold under his own name.